Change is difficult for most people, including well-adjusted and optimistic adults. It’s stressful. Yet change is a part of life, so it’s important to help children learn how to successfully adapt. Some children have a particularly difficult time managing change. Children are born with temperament. It’s genetic and occurs during prenatal development. Parents know this intuitively as they realize their newborn child has a personality. This personality can be influenced during early childhood development and it can be formed based on experiences and the temperaments of the parents. Children who have a tendency to be more negative, fearful, or slow to warm up may struggle a bit more with change than easygoing children. Parents can help these types of children by focusing on the positive aspects of change and encouraging the child to learn to differentiate between realistic thoughts and anxiety-driven thoughts. Some children, for a variety of reasons, have difficulty with trust or they may have attachment issues. For these children, change can be traumatic. If you have a child that may be dealing with these types of challenges, it’s always a good idea to help the child through the process of change. Let them know what’s expected. Stay connected to them and encourage them to talk about their feelings. Help them stay positive about the impending change. There are many behavior disorders that make change especially difficult. For example, a child with ADHD struggles to create structure. If their predetermined structure is changed, they may not know how to handle it or how to adapt. Same goes for a child with an oppositional defiant disorder, who may lash out, or a highly sensitive child with an anxiety disorder, who may plunge into depression or bouts of catastrophic thinking. When you’re dealing with a child that has a disorder, your approach needs to be thoughtful. Children need to know what the expectations are regarding the change and why the change is happening. For example, if you’re moving to a new home, your child may be better able to accept it if they understand why. Additionally, children need time to adapt to the concept of change. 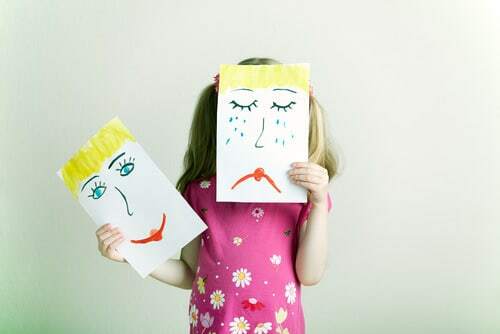 While that’s not always possible, it’s always a good idea to give a sensitive or cautious child time to think about the change and express their emotions. With any child, when you’re facing changes in the family, it’s always a good idea to talk about it. Get their feelings out in the open and help them focus on the concerns that are realistic while also letting go of unrealistic fears. Children adapt more easily when they know what to expect. Help them focus on the positive and strive to make change as fun as possible.